Smooth paved roads, quiet country roads, and unique stops along the way are just a part of what makes Oxford a great cycling destination. Ride along beautiful scenery on one of the numerous cycling routes all while enjoying bike-friendly restaurants, accommodations, and attractions. Oxford has the hidden treasures that can only be found through cycling. Click here to view the full route. 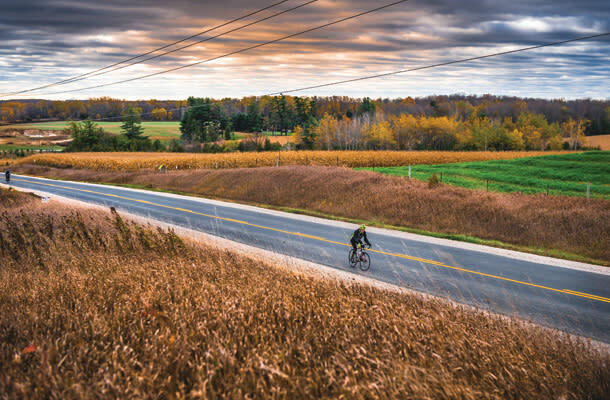 Whether you start in Ingersoll or Woodstock, this route gives riders a real taste of Oxford County with both town and countryside riding. Check out Dairy Capital Cheese Shoppe in Woodstock or The Olde Bakery Café in Ingersoll to fuel up for your ride. 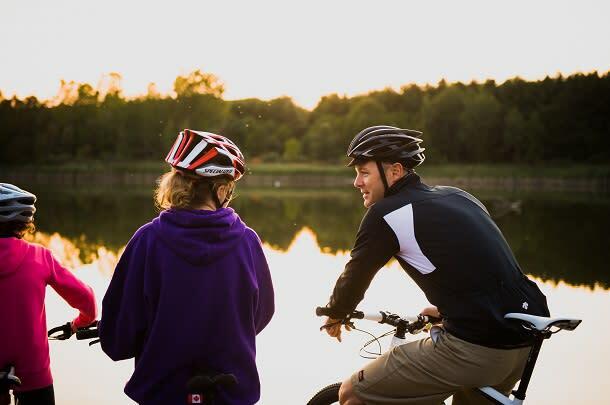 Ride through the quiet country roads and trails exploring farm country, treed forest patches, and the town of Tillsonburg. Pop into Coyle’s Country Store by the Tillsonburg Airport for their famous roasted nuts & trail mixes that will keep your energy up on the ride. Featuring one of the most scenic roads in Oxford, take in wide sweeping views mixed with dense forest lining the way on a quiet back road. If you’re looking for a place to rest your head, Just for You B&B is a great option just outside of Thamesford. For long distance and advanced riders, this 92 km route covers the southern part of the county and offers a great option for multi-day riding. Enjoy sweeping vistas and surrounding farmlands on quiet smooth roads along with picturesque rest stops throughout. You will definitely want to stop at Gunn’s Hill Artisan Cheese on this ride to enjoy the award-winning cheeses! Covering the northern part of Oxford, this advanced long distance ride continues the trend of smooth quiet back roads past scenic farms and agricultural lands. With stops along Woodstock and Ingersoll, there’s plenty of in-town eateries to fuel up. For even more natural beauty, swing by Pittock Conservation Area on the way out of Woodstock. When you need to rest, check out Elm Hurst Inn in Ingersoll for an unforgettable stay. For a full list of routes including downloadable maps, visit Ride Oxford. Want to hit the trails? Then you have to check out the Pines. 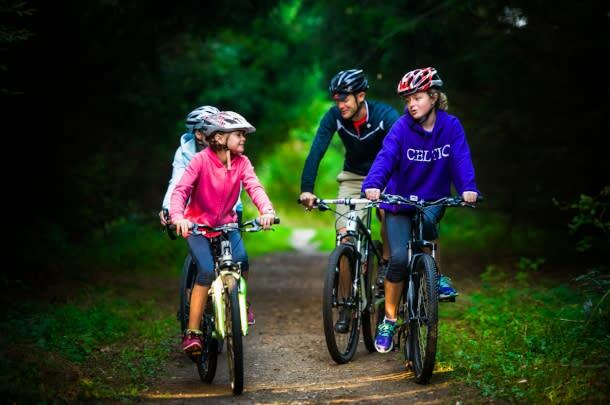 A 20 km mountain biking trail network, the Pines has trails for various skill levels including families, intermediate and technical. For even more trails, ride through Wildwood Conservation Area. There’s nearly 30 km of trails including a 24 km loop around the Wildwood Reservoir.